I saw this video about arm knitting on the Wall Street Journal’s site and decided that I needed to try this at least once. 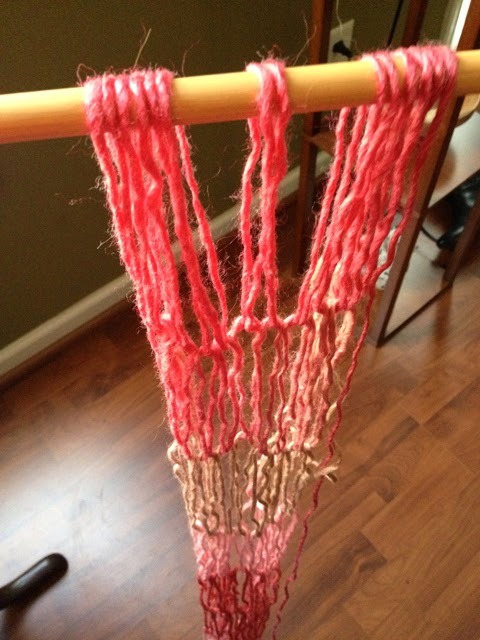 You can’t not try arm knitting after you see it. Your curiosity will get the better of you. 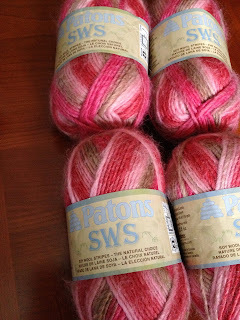 I went stash diving and found this Patons SWS (discontinued) yarn that’s been in my stash for years. 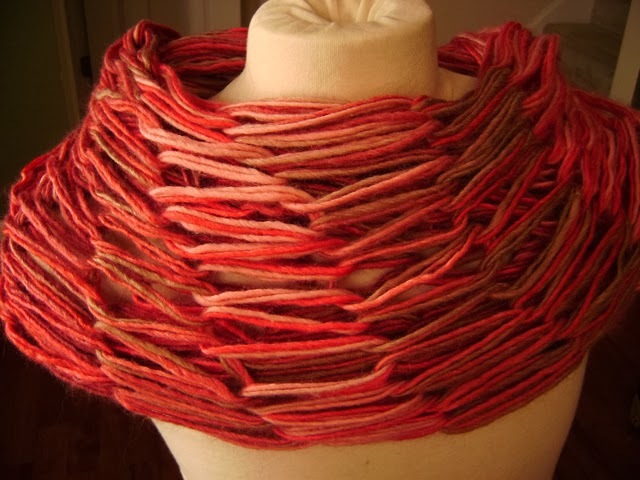 I first tried using one strand just to see if I would like it, even though I had a feeling that it would make a scarf that was a little too puny for my tastes. I was right. 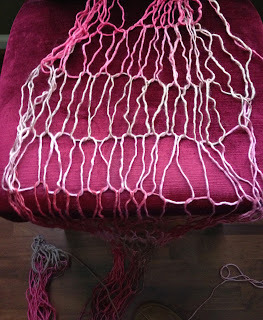 I decided to see if I would like the fabric with three strands held together. It is better, but I still would like to use a thicker yarn. Something even larger than the bulky weight that I had in my stash. 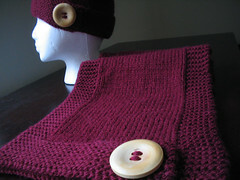 I would have tried it if it wasn't set aside for a hooded sweater design. 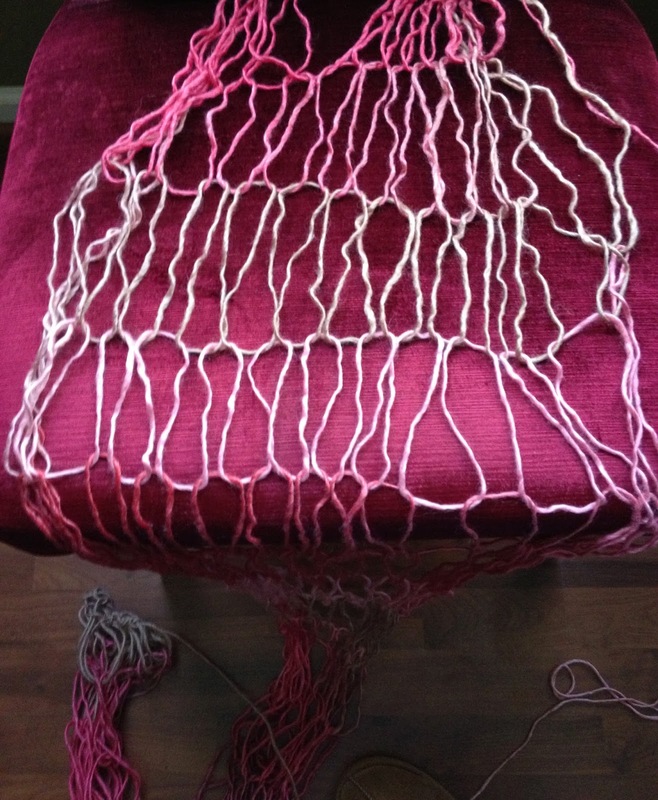 I even tried to make a cable, but it didn’t go so well. 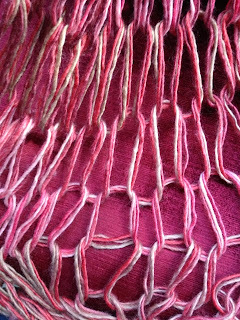 I tried to hold stitches to the back of my work with a hooked cable needle, but it didn’t have enough weight to hold them out of the way. 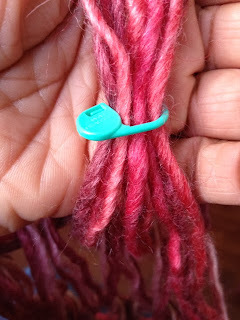 I ended up using one of those safety pin stitch markers to hold the stitch to the back of the work to make the cable. Arm knitting is not difficult at all. 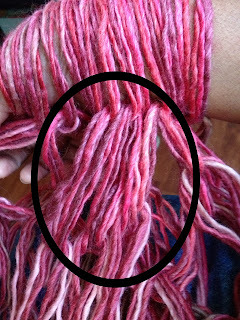 When you watch the video, you’ll recognize some basic needle knitting moves: the long-tail cast on, the knit stitch, and binding off. 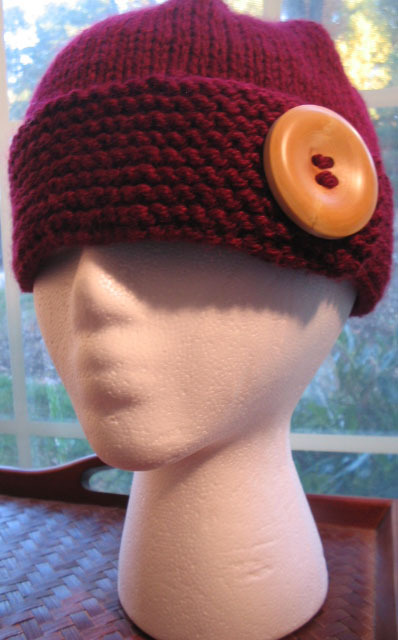 It’s not shown in the video, but if you need to frog, it will be intuitive since you’ve needle knit. 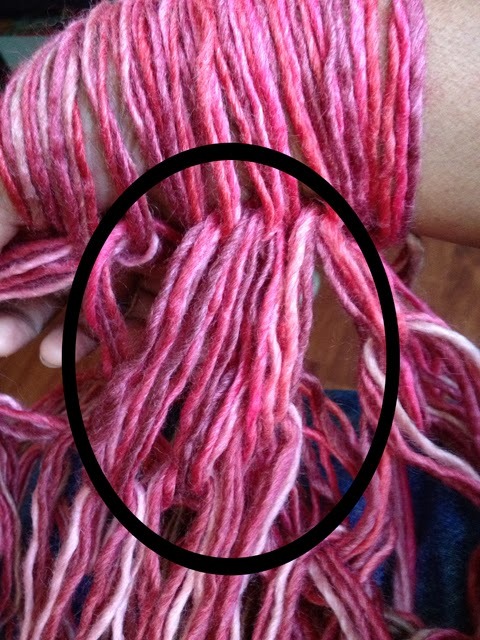 Oh and you’ll be pissed when you drop a stitch in arm knitting, just as you would in needle knitting. Actually, you'll be more pissed. Dropping a gigantic stitch is more painful because it's big as hell. I knew you were wondering.